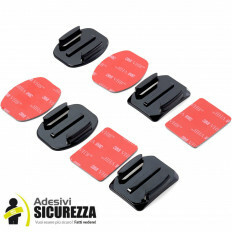 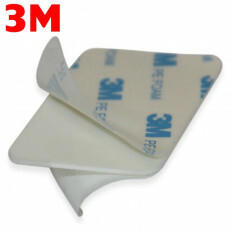 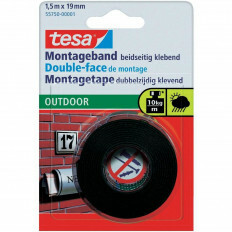 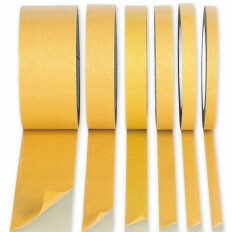 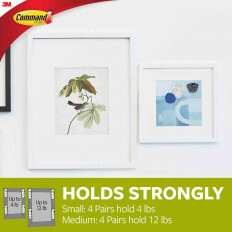 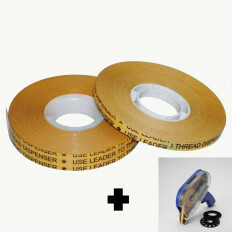 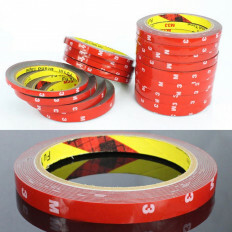 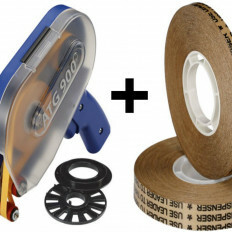 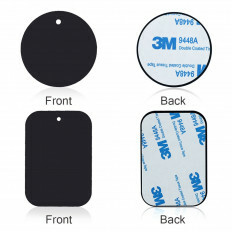 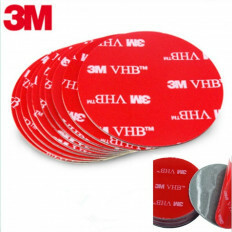 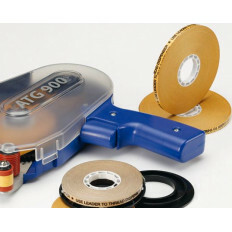 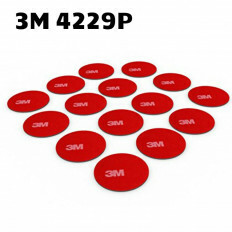 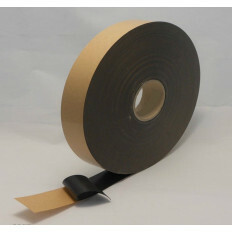 Double-sided tape measuring 1.5m x 19mm for outdoors with strong hold. 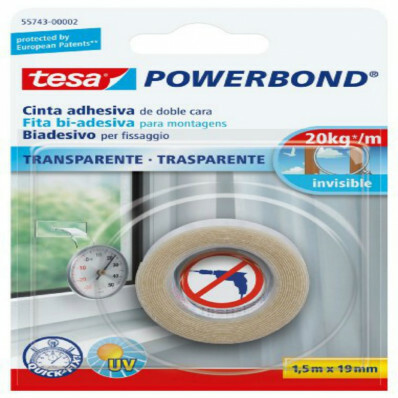 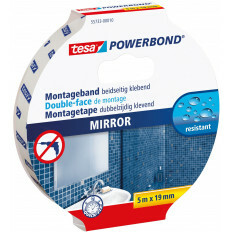 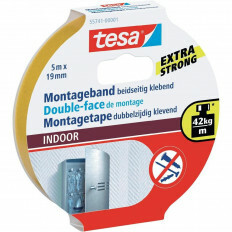 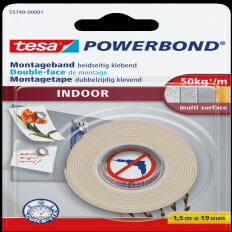 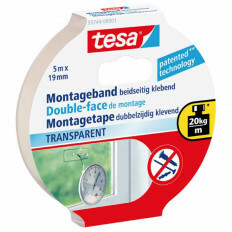 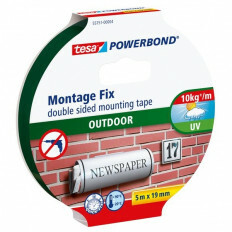 In Germany, where the producer is located, tesa is synonymous with adhesive so we are talking about a really great and very useful product! 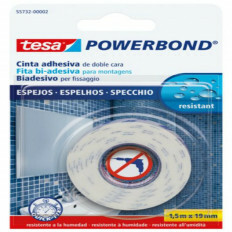 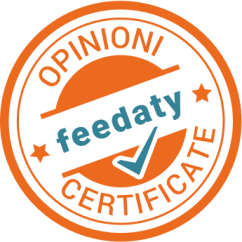 Duration guaranteed for several years if well applied. 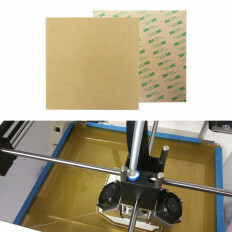 Check that the application surface is sufficiently stable and smooth to hold the object you want to attach. 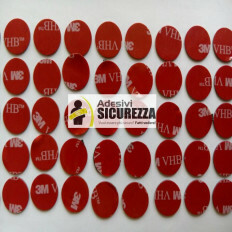 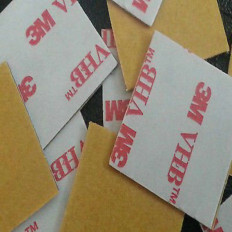 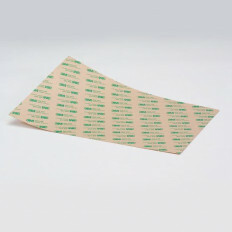 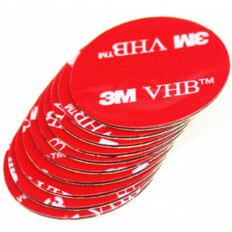 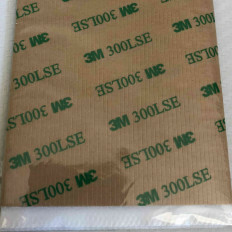 Then clean the area with alcohol and apply the double-sided tape on the back of your object in vertical strips. 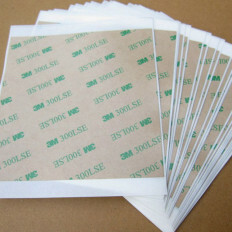 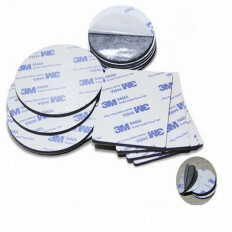 Remove the protective film and hold it for five seconds.